One fun thing about Hawk Hill now operating as a B & B is that I get to hear feedback about the house often. 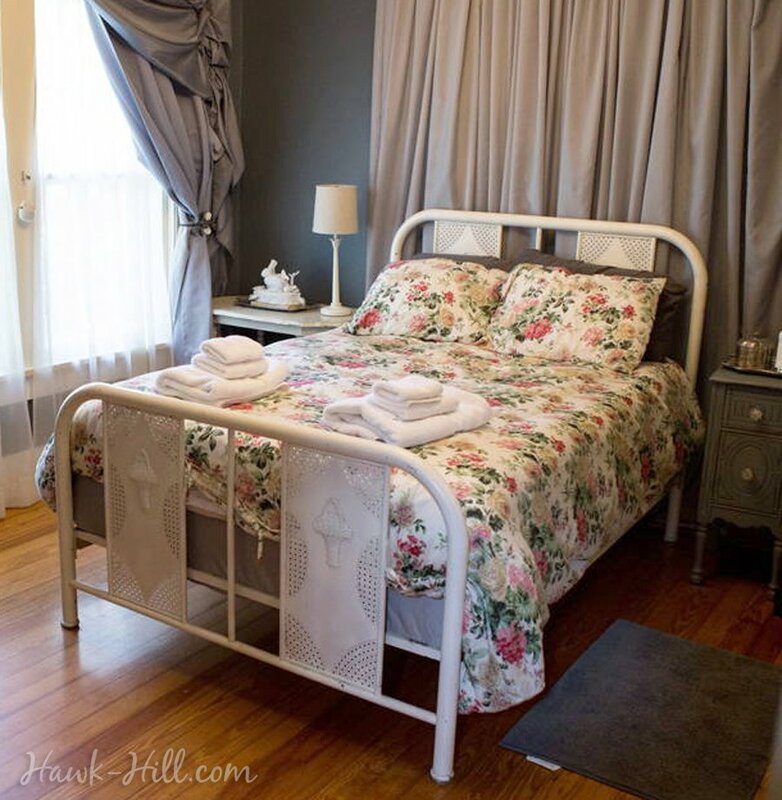 Of the questions I am asked, one of the most common is where I purchased the tiered, ruffled curtains in the grey bedroom, pictured here. 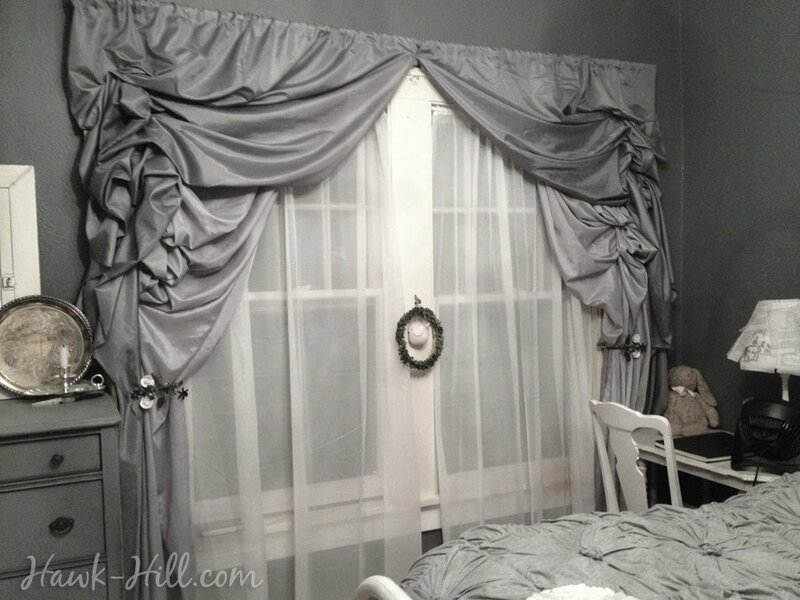 The layers and layers of tiered ruffles of two different shades of grey satin create a lot of interest around these old fashioned double windows. Eyebrows raise when I pull up the fabric to reveal the unique method I used to create this luxurious look for a couple bucks instead of the hundreds it would cost to outfit the bedroom with commercially produced similarly voluptuous ruffled curtains. I love the romantic, elegant, expensive look of these curtains and the thrill that I was able to make them for a total cost of about $30! These curtains don’t open and close, but in this tutorial I’ll show you how to add layers behind these curtains so you can hang sheers, as shown below, or blackout curtains that tie back behind these gathered curtain panels. 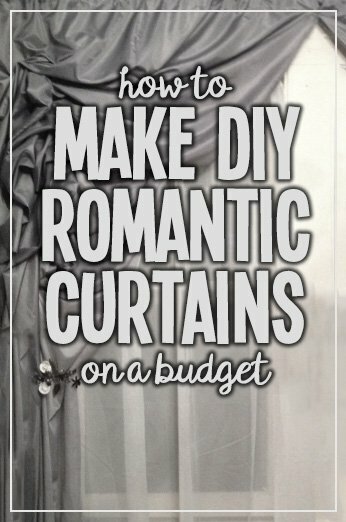 All you need to create these luxurious ruffled curtains is a bolt of fabric, plywood, and a staple gun- in this article I’ll show you how! This project creates an opulent window dressing on a budget- but does sacrifice function. 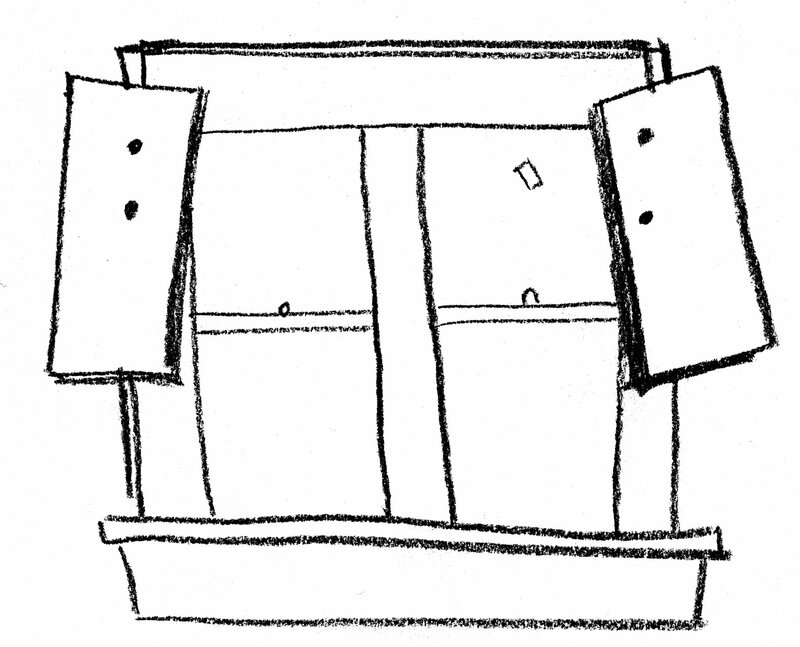 The result of this tutorial is a stationary curtain that does not open or close. By using a double curtain rod or a single curtain rod paired with a tension rod (as pictured) you can hang functional curtains behind these window dressings. Thankfully the full coverage of these faux curtains means you can use cheap curtain rods rather than expensive decorative rods and finials. Because my home has hard plaster walls and window frames original to the 100 year old construction, I’ve designed this tutorial using two boards underlaying the curtains, leaving only 4 holes total in the woodwork, which makes this tutorial friendly for both older homes and rental homes where the window dressing will be temporary. If you’ve got drywall walls and are comfortable leaving dozens of tiny staple holes in your wall (easy to fill with wood-filler), you can skip the plywood base section of the tutorial. 2 pieces of plywood cut in 1’x2′ rectangles. 1 bolt of fabric. Lightweight polyester chiffon or satin finish fabrics work best- thin, cheap fabric works well for this project! 1. Attach curtain rod to wall. Always go larger than your window- especially for a statement window dressing like this one. I went about 6″ over the top of the woodwork and 8-10 inches wider on each side. 2. 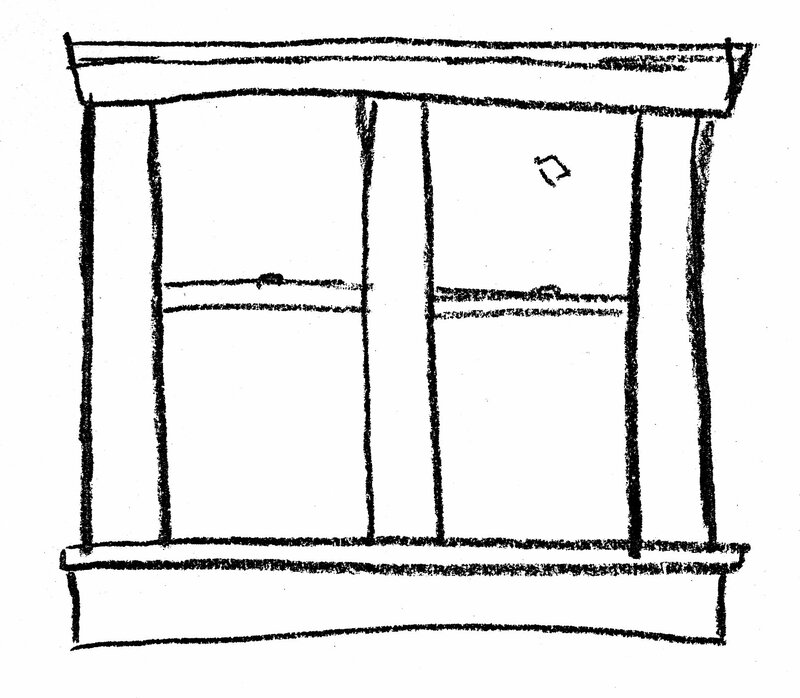 Attach plywood to sides of window. Don’t hang too high, as most of the ruffles will be placed 3/4-1/2 of the way down, rather than the top. Unless you can handle many holes in the wall, it’s best to begin this project by hanging two piece of plywood on your window. Secured with screws, the plywood can then be a base for the staples used in this project. 3. Unroll about 25ft of fabric from your bolt and sew a channel into the end of the fabric. With fabric still attached to the bolt, slip the end of the fabric onto the curtain rod. There’s no way to know how much length you’ll need, so wait to cut the fabric free from your bolt until you’ve styled & stapled your curtain. fabric left on the bolt means you can use as much length as you need, and cut to length when you’re ready. 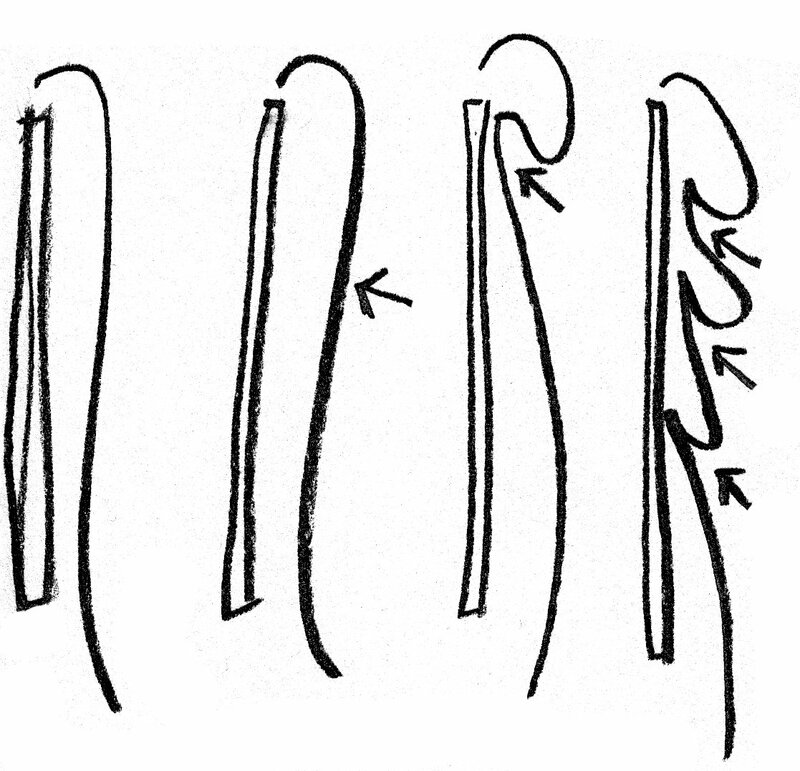 Though these pieces are shown cut, this is basically how you begin. Large, large curtains attached at the top to the rod and ready to style as they flow towards the floor. 4. Begin gathering up bunches of fabric and placing a staple underneath the fabric, into the plywood underneath. 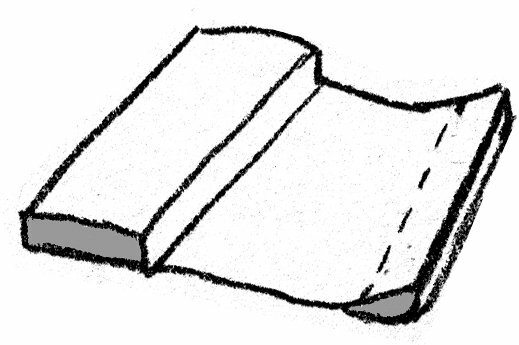 Allowing the fabric to spill down and over the staple. At this point it becomes all about styling and just moving and bunching and stapling fabric until you’ve created a waterfall ruffle effect. My advice is to not skimp on fabric or ruffles- it’s the opulent styling that creates interest, and that takes extra fabric. Fabric will hang parallel to the wall. 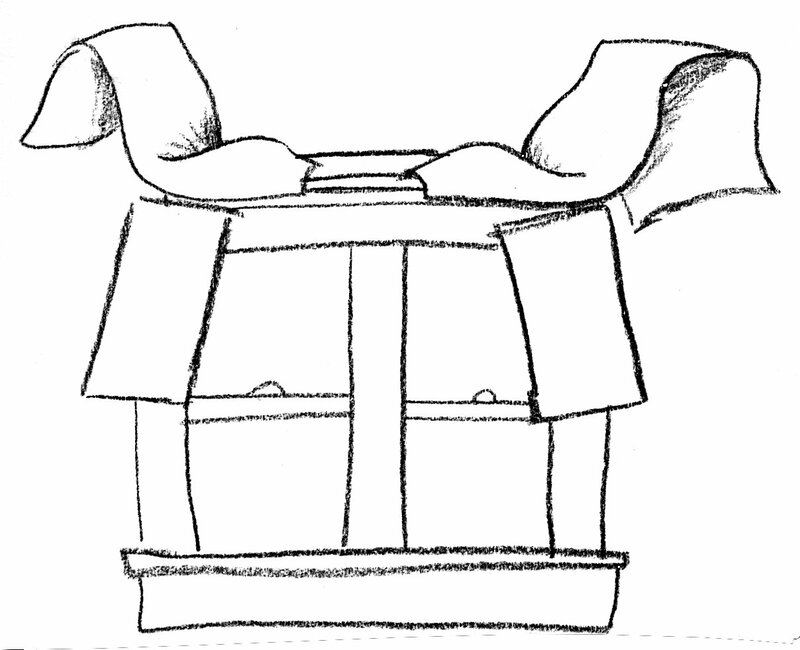 Pinch, lift, and tuck, placing staples where the arrows are, to create opulent layers of curtains. 5. When it feels styled well and sufficiently secured, cut your fabric free from the bolt and stitch a loose hem across the bottom. 6. Repeat with 4 to 6 lengths of fabric to create a romantic, flowing look. Love the other set of curtains in this room? 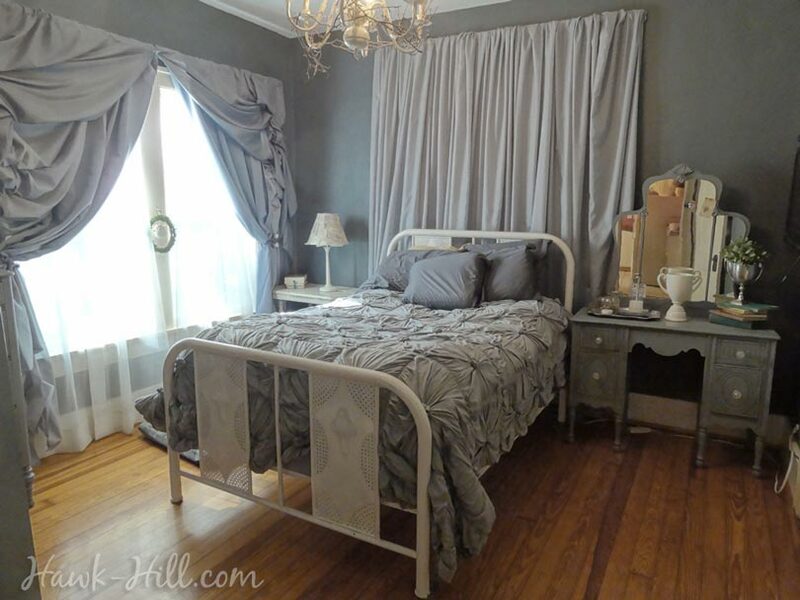 Check out my article on hiding a window behind a headboard curtains.